Arunachal Pradesh Police Recruitment 2017 – 897 Constable Posts :- Office of the Director General of Police, Police Headquarters, Arunachal Pradesh Police has published notification for the recruitment of 897 posts of Constable (GD) Civil Police (Male/Female) and Constable (Band/Bugler) IRBN (only Male). Interested & eligible candidates can apply in prescribed application format. Last date for submission of application is 30/09/2017. 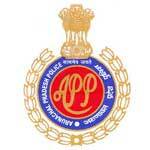 For Constable (GD) Civil Police (Male/Female) : Class X Pass (for General / APST). For Constable (Band/Bugler) IRBN (Male) : Class X Pass (for General / APST). Knowledge in playing Band / Bugler. Application Fee: A treasury challan of Rs. 10/- for APST candidates and Rs.40/- for General candidates in favour of Asstt Inspector General of Police (E), PHQ, Itanagar under Head of Account “0055” Police. Last Date for Receipt of Applications : 30/09/2017. How to Apply: Interested eligible candidates can send their application in prescribed format along with all necessary documents to The Asstt. Inspector General of Police (E), Police Head-Quarters, Itanagar, Arunachal Pradesh, PIN-791113 or before 30th Sept 2017. Subscribe our Free Job Alert Mail Service for Arunachal Pradesh Police Recruitment 2017.